“This is nothing new,” said Jerry Vines, Jerry Vines, the former pastor of First Baptist Church in Jacksonville, Florida who has written and preached on Judas. He noted attempts since the second century to portray Judas more favorably than he is presented in Scripture — as a traitor who delivered Jesus to the authorities for 30 pieces of silver. In conjunction with the documentary, other British clergy and theologians have expressed their support for a revised portrait of Judas. “When I preached on Judas, which I did many times through the years, I certainly felt sorry for him,” Vines continued. “You’re sorry he became such a tragedy, but he made his own decisions and according to Acts, he went ‘to his own place,'” a reference to hell. Judas was not “an unwitting player” in a political or cosmic drama, Allen said. Allen cited Matthew 26:24 and Acts 1:25 as evidence Judas died without repenting of his sin and trusting Christ for salvation. He noted the Greek word used to describe Peter’s repentance from denying Jesus (metanoeo) is different from the Greek word used to describe Judas’ expression of regret in Matthew 27:3 (metamelomai). Rick Durst, professor of historical theology at Golden Gate Theological Seminary, echoed Vines’ assessment that attempts to portray Judas in a favorable light stretch back two millennia. In the second—fourth centuries, Durst said that a heretical Gnostic sect known as the Cainites “venerated Judas” and taught he “was the enlightened disciple who acted for the redemption of humanity through the death of Christ.” The Cainites were condemned by patristic apologists Irenaeus, Tertullian and Epiphanius. The third—century theologian Origen, described by Durst as “ever creatively odd,” wrongly argued “Judas committed suicide by hanging to seek Christ in the nether world and beg His pardon.” On a more orthodox note, John Chrysostom, Ambrose of Milan and Augustine all spoke of Judas as evil and condemned during the fourth and fifth centuries. In the 20th century, Nikos Kazantzakis’ novel “The Last Temptation of Christ” attempted to portray Judas as Jesus’ friend and was made into a movie. For preachers, the biblical story of Judas is more powerful than a manufactured narrative, Allen and Vines said. 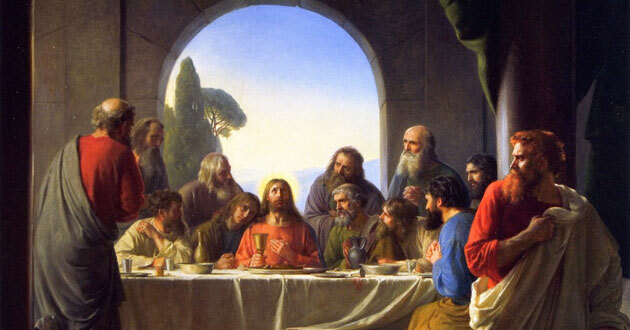 Judas demonstrates that supposed followers of Jesus can “have an outward profession but not have an inward possession of genuine salvation,” Allen said. Vines’ 1981 book “Interviews with Jesus” drew on Judas to extend an evangelistic invitation.